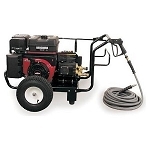 These Dirt Killer pressure washers have a great set of amenities like the Kranzle Pump that can run without water or idle in bypass for hours. No need to check oil levels as each unit comes with an oil alert feature letting you know when its time to add more. 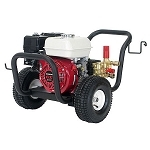 A Honda engine is the supplied power plant that will ensure years of use and replacement parts are readily available. 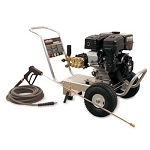 Self Priming: Able to independently pump water from most water sources and does not require water to be pumped into if from hose. 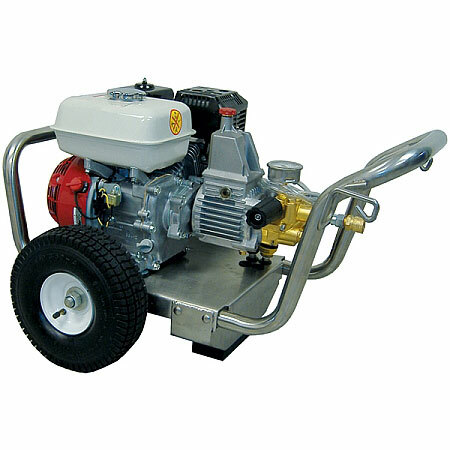 Pump design gives multi-hour bypass and run-dry capability preventing accidental pump damage.